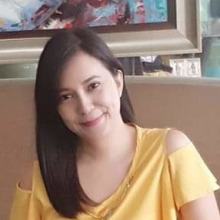 Overcoming her personal battle against depression led Viviene Bigornia to realize what she wanted to do in life: to help and guide ambitious women in pursuing their passion and living their dreams. 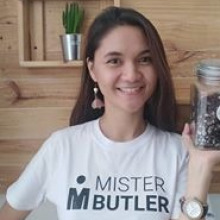 Her experience paved the way to establish The Fulfilled Women, a community for aspiring women entrepreneurs, mompreneurs, startups and motivated women who want to pursue their passion. Viviene guides these women by conducting workshops, online trainings, mastermind sessions, and group mentoring. In conversation with GlobalLinker (GL), Viviene (Viviene) shares her business journey. Viviene: When I gave birth to my eldest, I went through postpartum depression. It was so bad that I lost hope and zest for life. After battling depression for a year, I had enough. I wanted to get back with my old self, that chronically happy and inspiring woman. I started praying, "Lord, help me find my purpose. I want to excitedly wake up in life again." God answered my prayer. After several months, I started feeling normal again, and most importantly, I found what I was looking for. I realized I wanted to encourage women to find and pursue their passion just like what happened to me. I began conducting workshops, creating online courses and wrote my second book, ‘From Depressed to Determined, A 6-Step Guide to Thrive and have Personal Success’. I also felt the need to start The Fulfilled Women, a community for aspiring entrepreneurs, mompreneurs, startups and ambitious women who want to pursue their passion. It's a free community but if they are ready to invest in themselves, they can upgrade their membership to be part of a private community (Insiders Club), where they can have access to exclusive online trainings, mastermind sessions and group mentoring sessions every single month. Viviene: I had massive doubts about myself. Who would listen to me? Nobody knew who I was. After creating my first online course, it was parked on my computer for five months! I was scared. But after attending a workshop with Manila Workshops, I realized I had nothing to lose. If no one buys, who cares? I can learn and move forward. I hit the publish button and was surprised to see women interested in it. It wasn't a huge success, but it gave me the confidence to move forward and create better products and services. GL: What is the Unique Selling Point (USP) of your business? Viviene: There are many membership sites but there are close to none that cater specifically to Filipina entrepreneurs. Our members get coaching, training and accountability month after month. The Fulfilled Women seeks to guide and inspire women to reach their full potential for God's glory through pursuing their passion. GL: What are some of the milestones of your business? I was invited to be part of an online conference along with 40+ industry experts. I was tapped to speak by a famous brand during their launch. I had been featured and interviewed in different media platforms including my first radio guesting. 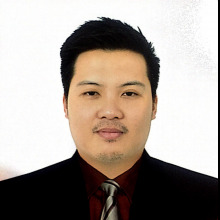 I was chosen as one of the Philippine delegates for the first TradeConnect event in Singapore through UnionBank GlobalLinker. GL: What role do you feel GlobalLinker plays in connecting & assisting SMEs? 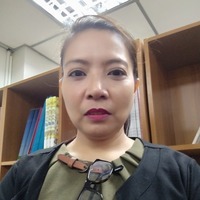 Viviene: UnionBank GlobalLinker has been a great help in connecting me with other entrepreneurs. I have been able to collaborate with many of them since I became an active user of GlobalLinker. It's a great avenue for business owners not just to promote their products but also to be able to learn and connect with possible clients or partners. 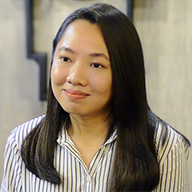 Viviene: My biggest dream is to see a movement of women entrepreneurs making an impact not just in the Philippines but also globally. I'd love to see more women courageously pursuing their passion. Viviene: The road to success and entrepreneurship is hard and scary. You will be beaten up; you'll face many challenges and in times you even may want to quit. But you know what? It's all worth it! When you are old and gray, you will be able to tell yourself that "I'm glad I took the chance." You weren't born to be a wallflower. You were born to be make an impact in society and that only happens when you get rid of all doubts and when you just pursue your passion. You got this! 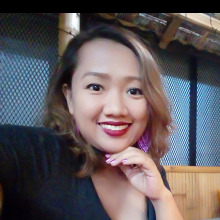 Network with Viviene Bigornia by clicking on the 'Invite' button on her profile.